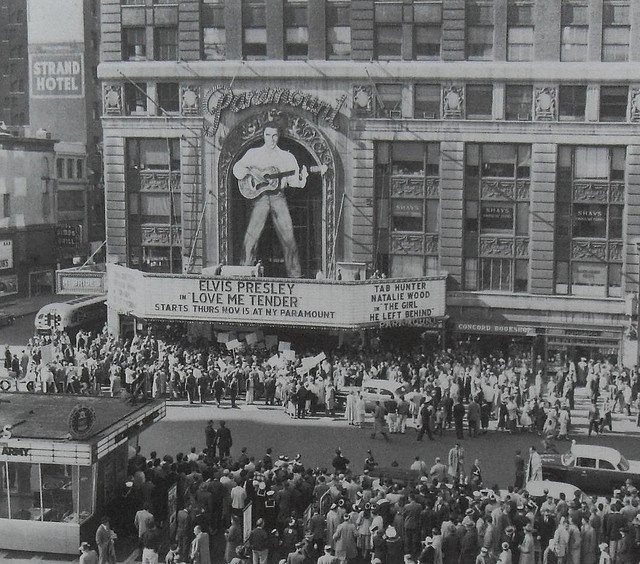 1956 Movie Premiere Of "Love Me Tender". . Wallpaper and background images in the एल्विस प्रेस्ली club tagged: photo. This एल्विस प्रेस्ली photo might contain वचनालय, पढ़ने का कमरा, व्यापार जिले, शहर, व्यापार जिला, डाउनटाउन, बहुभागी, and मल्टीप्लेक्स.